I’ve been meaning to post about this for months! 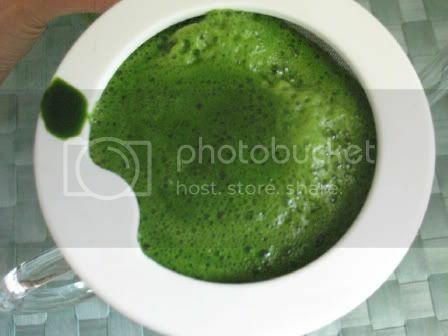 It’s about how my juicer juices the softer greens. 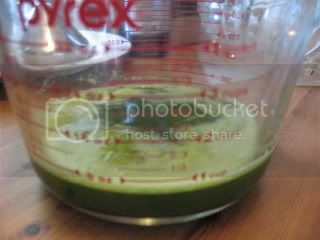 I posted about my great juicer and how it produces pure, clear juice, even with the most soft leaves. 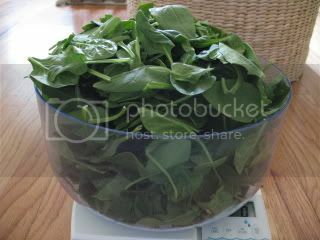 Here is an example of the power of the Super Angel Juice Extractor: When I juice baby leaves of spinach, it actually creams it. It’s spinach butter! 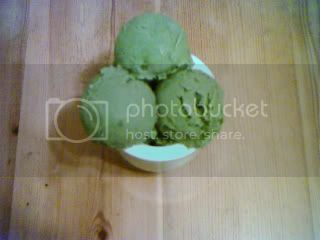 Like, say… avocado-spinach ice cream? I also wrote about the first purslane of the season; I was quite excited as purslane (a.k.a. verdolaga and “a weed”!) is very nutritious (see links ^ ). 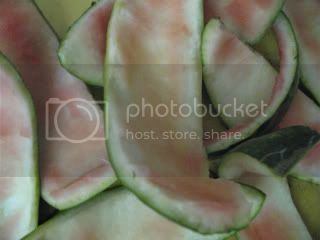 I also have learned from reading about it, that the stems are extremely nutritious, as well. Normally, I would have made the effort to simply pull off the leaves; but now, I strip the leaves and get their stems too. I do not juice the stalks (or thicker stems) though; I’m referring to the small stems which attach the little leaves to the stalk . I tried to grow some myself; however, for some reason, it didn’t grow . Yep, see the thick goopiness?!! It’s like that thick goop you get from blending flaxseeds for flax “eggs.” Best way to deal with it (if your juicer can even handle it!) 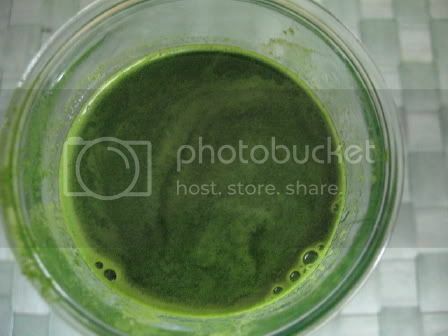 is to juice your purslane first, then follow it with hardier, stemmier greens, such as collards, kale, and parsley. 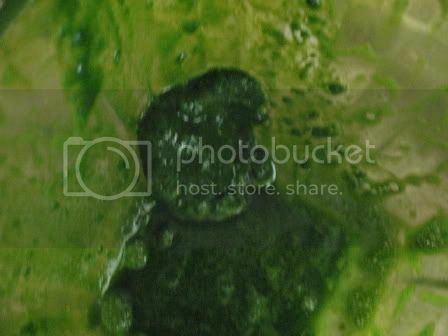 Those will clean out the goop and get all that sticky purslane “sludge” from the juicer gears. 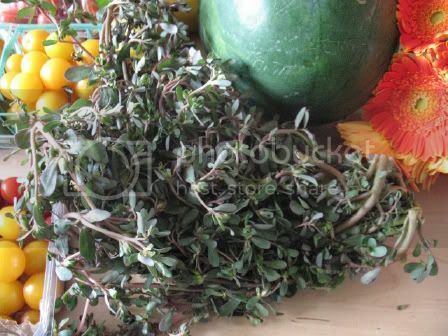 Saves you clean up AND, of course, you get all that you should from the purslane, wasting none of it! . 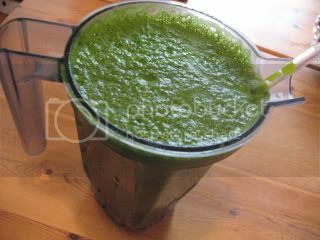 You can also alternate — purslane, kale, purslane, kale/collard, purslane, etc; but — in my Angel anyway — it works better the former: If you alternate, you will lose too much purslane goop because too much will remain stuck on the juicer gears, you see . 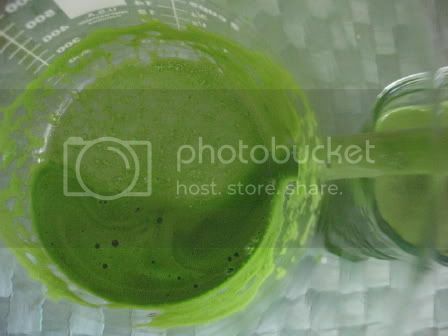 The same clear juice resulted as above with the spinach, by the way . Okay, now that we’ve tackled the buttery, chunky spinach and gloopidy glop of purslane, let us discuss the issue of juice foam, shall we? So, what to do with it? Well, I’m assuming most just drink it. 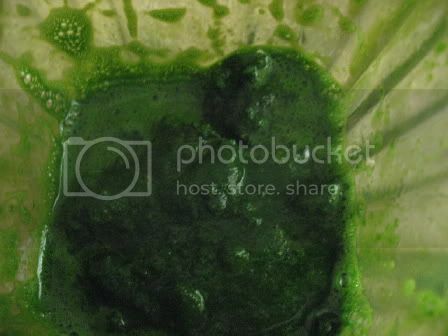 I used to; but I find it to harbor the most bitterish-ness of green juices (not so bad in smoothies) — reminds me of skimming the “scum,” as my Mom used to call it, from soups or beans. One issue with foam is that it contributes to gas and bloating and some interesting belching . No-o-o-o-ot sa-good, eh? But, if one likes it, there’s nothing wrong with it — somewhat like a whole-foodie’s answer to cappuccino . 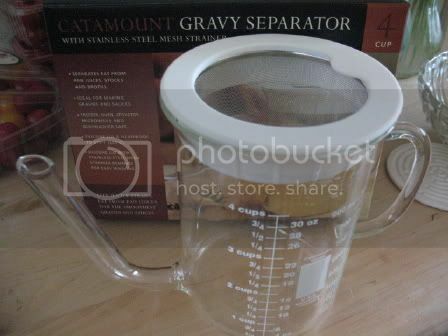 Anyway, straining helps, but what I found to work better is a fat separator (a.k.a gravy separator)!! Yep, break out that baby, you CAN use it again . I find some greens to produce more foam than others. The type of juicer matters to degree only; as far as I know, all juicers produce some foam. The Angel is the better of those I’ve tried; however, I still get some. 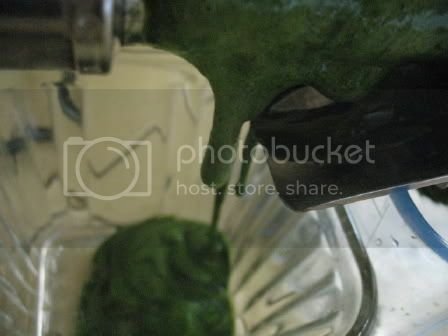 Then, if you’re blending the juice, you’re whipping in even more air into it. So this can cause a lot of undesirable air in the tummy,you can imagine. Okay, so I figure if it can separate fats, why not foam?! 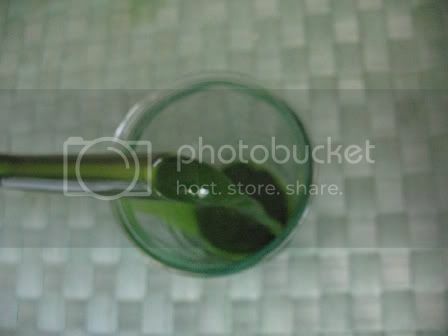 Now pouring…wow look at that GORGEOUS PURE GREEEEEEEEEEN_nessssssss! Makes a nice green juice :). A very good juice for “cleansing,” if you want to see it that way. 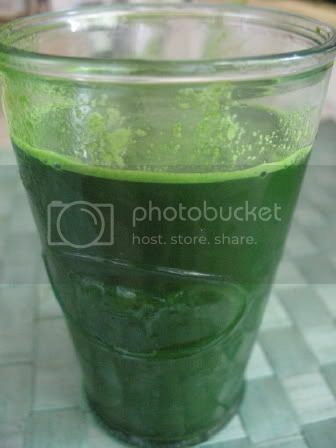 I like to add pure watermelon rind juice to my Green Juicie Green Smoothies; but during the summer, it makes a nice refreshing drink on it’s own with a little help from some citrus, stevia, and/or ginger. 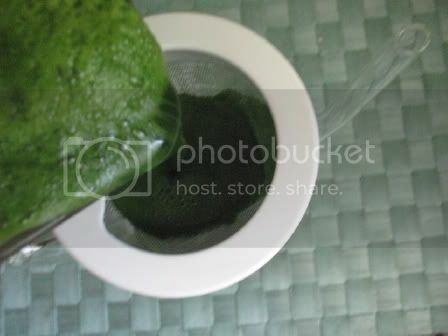 Thanks pox , but what about a pic of the juicer? 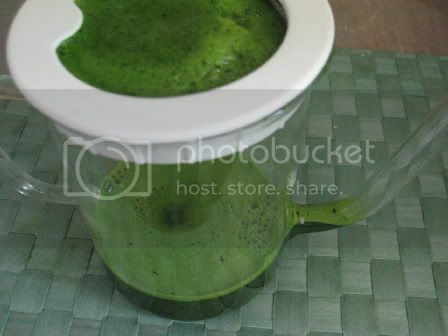 I would like to know how well the angel juicer does with softer items like pineapple and tomatoes and does it clog easily with lots of leafy greens or the pineapple? Thanks. I tried juicing pineapple in my Super Angel and it created a big mess, juice cooing out all over the screen mesh and lots of foam out of the input chute.If anyone knows a good way of juicing pineapple plse let me know. THank u. Try cutting the pinapple to thin slices and putting it in the juicer with a slice of carrot. I looked it up – it’s NEARLY $1000.00! (in a 30% off sale) Please tell me I’m looking at the wrong thing. Tom… I am concerned that I will not buy the proper juicer. 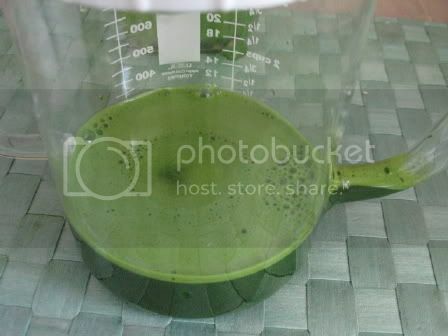 I want to buy the Breville Juice Fountain Professional JE900 Juicer but I am concerned about the oxidation issue. 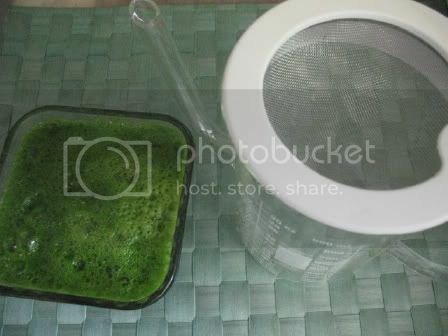 Therefore I am looking at the Omega 8005 Wheat Grass Juicer. Breville Juice Fountain Professional JE900 make veggie juice quickly. 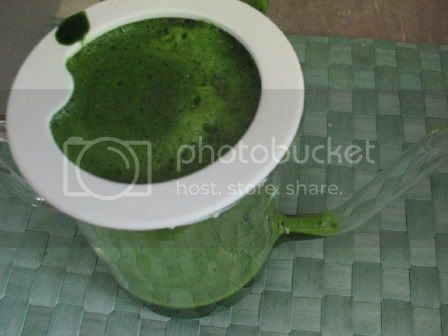 Yes it will create oxidation of the juice but my body healed and many others using cheap juicers and standard produce. 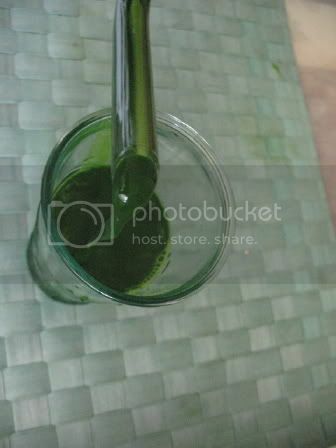 For better quality juice the Omega 8005 Wheat Grass Juicer has the advantage. The juice will keep for longer. 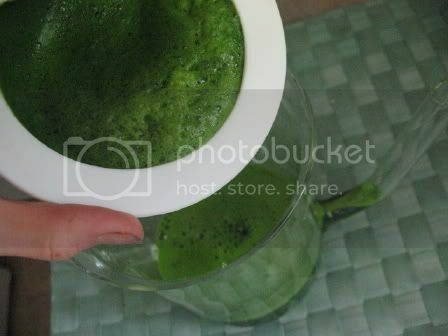 The drawback is the juicer is harder to clean and slower for making juice. I have a breville and champion. For a carrot, veggie juice mix I use the Breville for melon, I use the champion for melon or parsley.